With the opening of the new Beach Blanket Babylon, The Sound Division Group has carried out its second sound system installation for owners Robert Newmark and Graham Rebak. 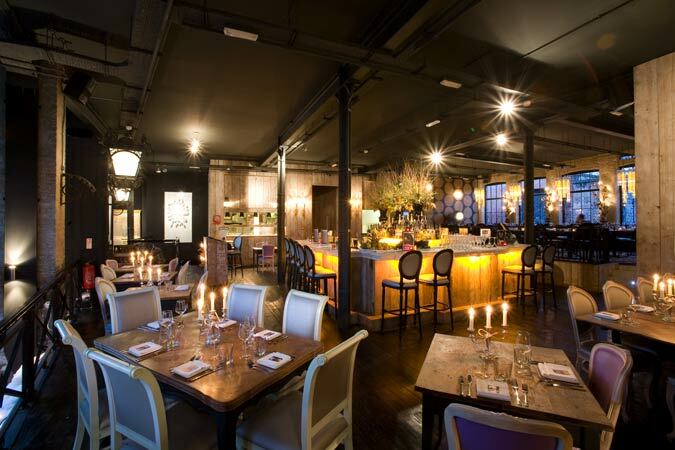 A stark contrast from the original 17-year-old restaurant in Notting Hill, with its eclectic décor, the new four-storey warehouse, which will open in phases, is typical of the Shoreditch area. David Graham's installation company has opened its account by fitting a highly-specified DJ booth and supplying a transparent Martin Audio sound reinforcement system (finished in custom black), under the project management of JLC's Richard Astley and Sound Division's Elliot Patterson. They have provided optimum sound quality in both the basement (dominated by its central bar) and ground floor, while the first floor contemporary art gallery will be next to receive the Sound Division treatment early in the new year. The basement bar needed to be available for private functions, and with a capacity of up to 500 people at the same time be able to host prominent DJ's or live cabaret on the stage area. Thus a high-specification sound system was required. The owners had long expressed their desire for Martin Audio loudspeakers — and SDG have duly obliged by specifying their architectural AQ series. Hence the front dance/stage area is served by the stylish AQ10 loudspeakers and an AQ215 sub, recessed into the alcove, while sound in other areas is delivered through a combination of AQ8 and AQ6 enclosures, with an AQ212 delivering the low end to the seated alcoves at the rear of the bar. Upstairs, music coverage for the 150-seat restaurant and bar/cocktail bar is provided by further Martin Audio AQ8's and AQ212. The system throughout is powered by Crown amplification and optimised by a BSS Soundweb London BLU 16 (8 x 8) digital processor, which aside from the EQ, handles the matrix routing and system protection. Soundweb programming was in the expert hands of Martin Barbour. When the music isn't being triggered from a hard disk recorder, Sound Division have provided a DJ plug-in point on the ground floor and generously-equipped the basement booth using industry-standard Pioneer CDJ-1000 twin Mk3 CD players, Technics SL1210 Mk5 turntables and popular Allen & Heath Xone:62 mixer — with a reference Martin AQ8 for DJ monitoring. Said Graham Rebak, "Sound Division have provided us with a great sound system set-up. We hosted EMI's Christmas party for their senior management and so the quality of the sound was particularly important rather than how loud it would go. And they absolutely loved it." Sound Division Group's David Graham says that the venue now has the infrastructure to host a wide range of entertainment, from live cabaret to top DJ appearances — while the plug-in points make it suitable for private hire. "This is fast-developing part of East London and the owners recognised the need for a high-grade music system to compete with the other bar/restaurants in the area. "This has been a long, ongoing project, but Robert and Graham know exactly what they want and are great clients to work for. Their venues ooze passion and it's always enjoyable working in such beautifully-crafted places."